Wirral, UK – 21st December 2016 – Love2shop Business Services, a specialist provider of employee and customer engagement solutions, is delighted to announce the rollout of its Evolve digital rewards platform across 85 household brands, including blue chip organisations. 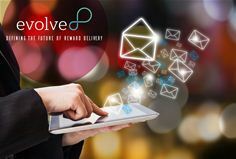 Evolve is being used in organisations such as EDF, Ladbrokes, Travis Perkins, Bristol Energy and Gala Bingo to either reward customers as part of an acquisition drive or to encourage existing customers to refer a friend. Adecco, Lucozade and British Airways are deploying the benefits of the platform to recognise the efforts of employees. The innovative digital rewards platform allows commercial organisations to thank consumers or employees through a reward code, delivered via email or SMS, which can be redeemed for vouchers, gift cards, e-vouchers, gifts, holidays and more. Chris Hartley, Director at Love2shop Business Services commented, “Evolve was launched just 5 months ago and has already taken the loyalty and incentive market by storm. Clearly many brands (large and small) have a need to reward individuals in a quick, efficient and cost effective manner and therefore digital delivery of reward codes is the right choice for their business. But we believe what makes Evolve truly special is the ability for the end recipient to exchange their digital code for a physical reward if they so choose. The Evolve platform is available in an off-the-shelf template, co-branded with Love2shop or in a bespoke design to reflect the brand of an organisation. Reward code delivery communications can also be fully customised to provide consistency of design throughout a customer or employee journey. To find out more about the Evolve digital rewards system please click here https://www.love2shopbusiness.co.uk/rewards/evolve-digital-rewards.